Less than a year after one of the strongest El Niños on record, forecasters see an increasing possibility that another will begin later this year. There is no word yet on how strong a new El Niño might be, but even a mild one could affect weather patterns around the world. Among the potential effects are wetter conditions across the southern United States, including Southern California; a drier Midwest; and drought in parts of Africa, Asia and South America. An El Niño can also influence global temperatures that are already rising because of greenhouse gas emissions. The strong El Niño of 2015-16 contributed to those years’ being the two warmest on record. An El Niño occurs when warm water in the equatorial Pacific shifts, creating an immense warm zone in the central and eastern Pacific. This adds heat and moisture to the air, releasing energy that affects the high-altitude winds known as jet streams that circle the planet. During the 2015-16 event, surface water temperatures in the Pacific were as much as 4 degrees Fahrenheit above normal. The warmth gradually dissipated and the ocean became cooler than normal, a condition known as La Niña, which persisted through much of last year. In their latest forecast, released Thursday, scientists from the National Oceanic and Atmospheric Administration and other organizations said that conditions were currently neutral, with normal sea-surface temperatures. But there is now about a 50 percent chance of El Niño in the second half of the year, they said. Mike Halpert, deputy director of NOAA’s Climate Prediction Center in College Park, Md., said that since climate scientists have been studying the phenomenon, a swing from El Niño to La Niña and back to El Niño in such a short time — about three years — has happened only once, in the 1960s. El Niño forecasts are based on computer models of the global climate. Mr. Halpert said those models were somewhat at odds with the conditions forecasters were observing. 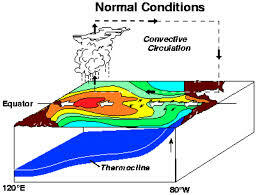 The strength of an El Niño is related to the magnitude of the changes in water temperatures. Mr. Halpert said it was too early to say how this new El Niño, if it occurs, would turn out. “But history would tell us we wouldn’t see two strong events in three years,” he said. The weather patterns — warmth in the Pacific Northwest is another one — tend to recur in different El Niño years. But there is no guarantee that even a strong El Niño would have a specific result. The 2015-16 El Niño, for example, produced relatively little rain in Southern California. Still, the generally recurring patterns, coupled with better forecasting, can help governments and other organizations prepare. 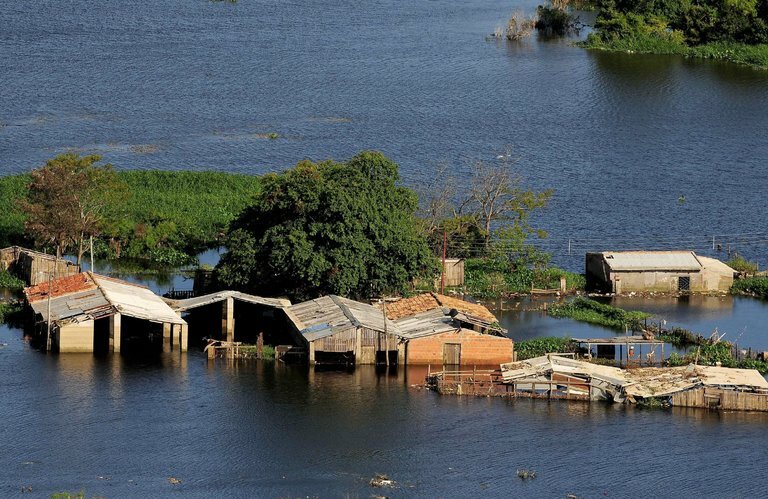 Dan Osgood, a researcher with the International Research Institute for Climate and Society at Columbia University, said the recent experience of the strong El Niño — which caused droughts in some areas of Africa and excessive rainfall in others — showed the effectiveness of planning. “One of the really interesting things coming out of the past cycle is that people are more focused on predicting what’s going to happen,” he said. The new forecast, he said, should set more planning in motion. “It’s about getting organized so you’re not caught unprepared,” he said.